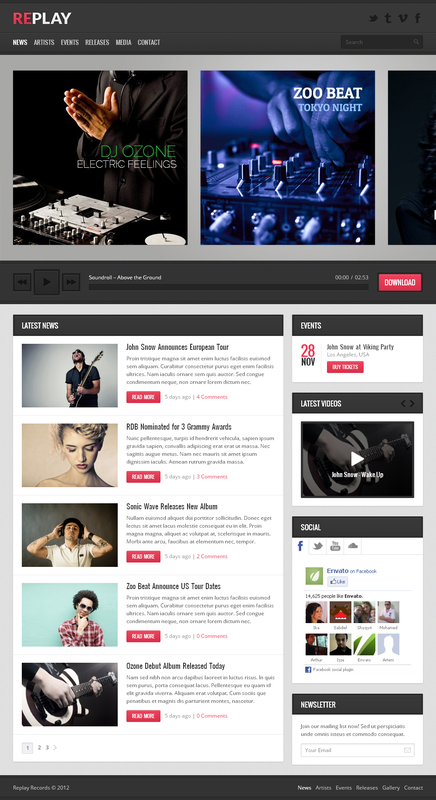 This theme has a built-in HTML5 audio player that plays self-hosted mp3 files. You can use featured tracks player on the homepage, add player anywhere with using shortcodes or attach a few free tracks to any release. Get new fans with Replay social media features! You can use Social Media widget that supports Facebook, Twitter, YouTube and SoundCloud plugins, Share Button on every page and social links integration. Each post type has its own custom fields and editing tools, such as date picker for events and track list editor for releases. 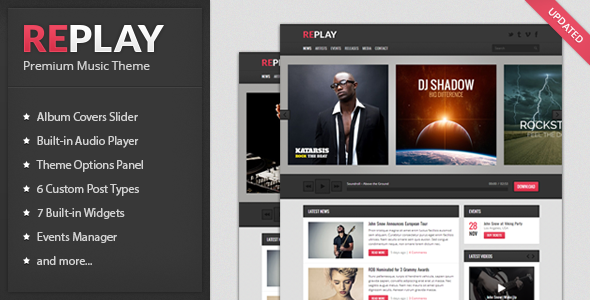 Managing artists, releases, events, videos, galleries and slides is easy with Replay!